Our vines were planted in 2001 when Bruno and Elyane moved to Vineland with the desire for adventure and an interest in the developing Niagara wine region. 2006 saw our first serious vintage of Bordeaux blends known as ‘Elige’, Nebbiolo known as ‘Aria’, and Viognier known as ‘Vio’. We also introduced some blends in the St Emillon style that are known as ‘Sondra’ and ‘Emilie’. We were delighted by the popular and critical acclaim they received at the time. 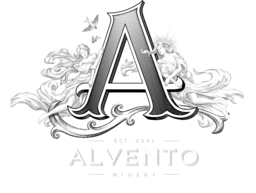 Their continued popularity has made Alvento a special winery to visit for those in the know. In 2012, the Moos retired from winemaking and passed the reigns of the winery to their protege Greg Yemen, who now carries the torch of high quality, craft and sustainability gained over two years of close apprenticeship.